Buy Monster Jam St. Louis tickets. 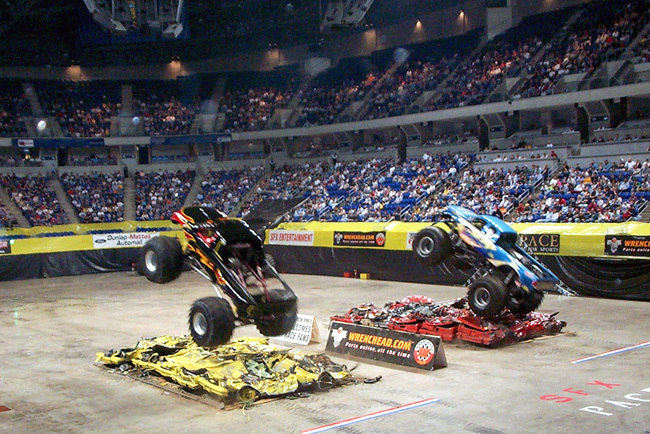 Choose from our astounding selection of The Dome at America's Center tickets to see Monster Jam live in St. Louis, MO. And we can also donate $5 from the profits of your ticket sale to a charity of your choice if you'd like too, so be sure to choose one for checkout and add a little extra goodness to the world too. Shop for tickets to the Monster Truck Jam in St. Louis and experience your favorite monsters live! 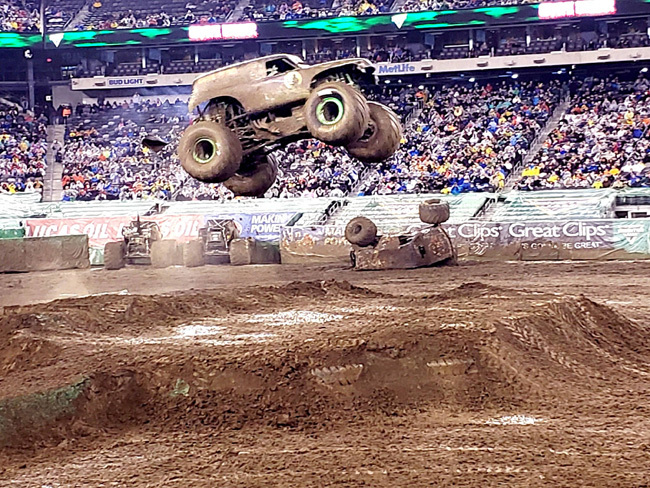 Watch the trucks crush everything underneath them with their massive wheels and fly through the air in The Dome at America's Center at an event like no other by grabbing your Monster Jam seats here. We are a Monster Truck fan's paradise and one of the best ticket companies to find low-cost Monster Jam The Dome at America's Center tickets. 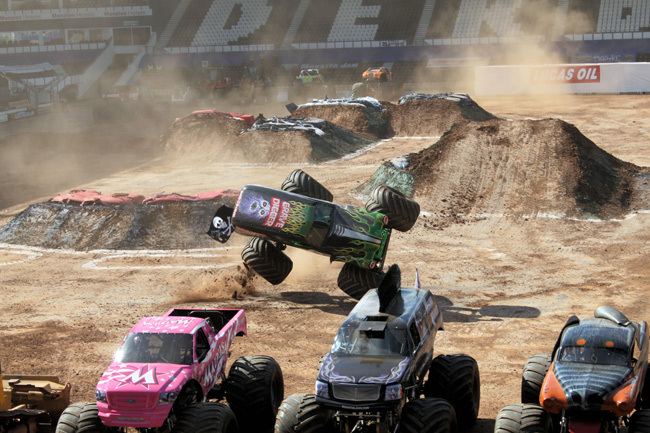 Our jaw-dropping selection of tickets will have you in the perfect seats to enjoy the Monster Trucks live in St. Louis. As a reputable event ticket company, GoodDeedSeats' obsession is to offer a risk-free, easy and intuitive Monster Jam ticket-buying experience for you, the discerning online consumer and fan. Call us at (844) 425-5918 for help shopping for St. Louis Monster Jam tickets or for any of the other tour dates. We're open seven days a week. GoodDeedSeats has Monster Jam The Dome at America's Center ticket prices that are right for you. Prices can vary based on availability. We make every effort to keep our pricing as cheap as possible for you. The lowest price, or cheapest Monster Jam St. Louis, Missouri ticket price, can be found by scrolling through our available tickets list. Because of factors such as current inventory and customer demand, Monster Jam ticket prices for tour dates can vary. You'll be pleased with our trusted, easy-to-use secure checkout that will allow you to effortlessly purchase your Monster Jam St. Louis MO event tickets now. You can either call our customer service at 844-425-5918 or click the orange 'Tickets' button above to find your seats for Monster Jam's The Dome at America's Center St. Louis show. If you click the orange 'Tickets' button above, you'll be brought to The Dome at America's Center's interactive seating chart (note: most, but not all seating maps are interactive) on the next page. On the left hand side, select the The Dome at America's Center seating that is right for you based on the view it provides and the ticket price. Here you'll be able to sort by quantity, price range, and delivery type (mail or electronic delivery, often called e-tickets). Many of the tickets sold here are e-tickets ready for instant download, which is one of the best and fastest ways to get your tickets fulfilled. Any Monster Jam St. Louis The Dome at America's Center e-tickets will be labelled as such. Otherwise your tickets will be mailed to you with Federal Express. You are always safe and secure buying event tickets here with our 100% Buyer Guarantee for purchasing St. Louis Monster Jam tickets. Search through our up-to-date ticket listings for the Monster Jam stop in St. Louis that can include concourse seating, clubs seats, e-tickets (instant download), cheap group tickets, pit passes and much more. Some memorable monster trucks include Grave Digger, El Toro Loco, Monster Mutt, Madusa, Mohawk Warrior and Zombie, just to name a few. Enjoy the destruction, wheelies, jumps, races and freestyle at the jam. We are always very appreciative of your business and hope you have an awesome time experiencing the Monster trucks at The Dome at America's Center.